The Schröder Group has already started the countdown for participating in one of the most popular global sheet metal working technology exhibitions, EuroBLECH. One of the products that will be highlighted at the show is the Advanced Handling System which is capable of folding sheet metal at a higher level of automation. The Germany-based company, the Schröder Group has two companies under its fold – Hans Schröder Maschinenbau and Schröder Fasti Technologie. 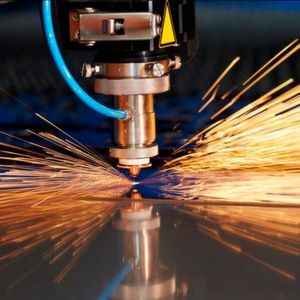 The massive company offers cutting-edge machines for different functions of the sheet metal industry such as bending, cutting, beading, flanging and circular bending. With a strong background in the sheet metal sector, the Group is keen to unveil its latest innovation – Schröder Advanced Handling System (AHS) at this year’s EuroBLECH trade fair. 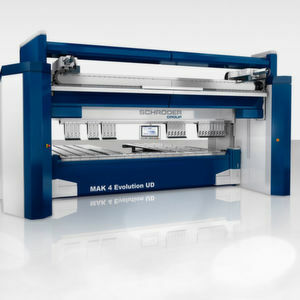 The fully automatic sheet metal handling system will be visible on the company’s motorized folding machine MAK 4 Evolution UD. The unique feature of the AHS is that it is capable of folding sheet metal at a higher level of automation which was earlier possible only through the assistance of handling robots. Apart from this, the combination of the advanced handling system, Up-and-Down-folding beam and suction gauge proves advantageous for the software control POS 3000 as it enables a fully automatic procedure of the whole bending programme without the need for any manual involvement. 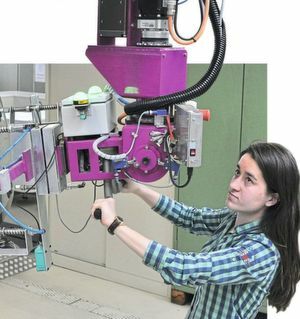 It is also interesting to note that the AHS will be showcased on the MAK 4 Evolution UD machine which is equipped with a fully automatic tool changer. 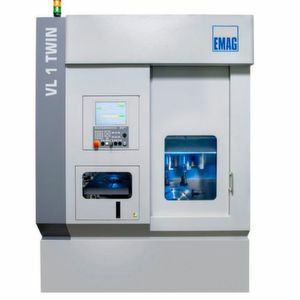 This added feature will make the lives of the operators easy as one can achieve unparalleled automation, efficiency and repeat accuracy during industrial bending both for serial production, small production or even for single pieces. The Schröder Group is also geared up to exhibit a range of semi-automation solutions on the SPB Evolution UD with tool changer, a PowerBend Industrial UD which is capable of handling up to 6 mm of thick sheets as well as on the PowerBend Professional UD which is considered to have a higher demand. A special feature of the PowerBend Professional is that due to its rotating clamping beam a second batch of tools is made accessible in a very short period of time. The firm’s suction gauge also proves beneficial as it helps to automatically fix all the bends on a single side of the sheet post gauging. Next in line to be showcased at the show is the hydraulic shear PowerShear Professional 3,000/6.0 which is equipped with an energy-efficient drive. It is further supported with a pneumatic sheet along with a frequency-controlled motorized back gauge of 10 – 1000 mm. The Schröder Group has quite a few interesting technologies to display at EuroBLECH. Maschinen Markt International wishes all the exhibitors and visitors a successful and profitable show!